Enter your Zip Code or City to find a notary near you fast! Whether you are a notary or you need a notary, you can benefit from our community. Our system is set up to be easy to use and understand, making the process of connecting notaries and those who need them simple and efficient. Profile visibility control. You decide what information can be seen by the public. Include your professional and social media connections in your profile. Become a Pro member and manage all your completion reports from our network of signing services in one simple step from your laptop, tablet or smartphone. Total agents in our network. Total Dollars paid to agents for In Network Closings in the last 12 months. Total In Network closings in the last 12 months. Total searches for agents in the last 12 Months. 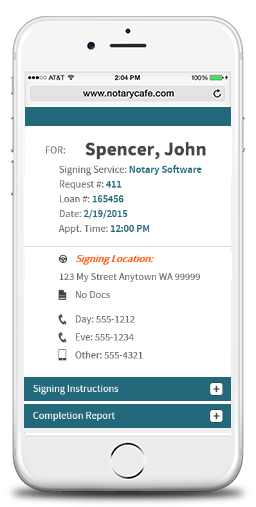 Find notaries in your area quickly and efficiently. Our robust database allows you to search for notaries by a variety of criteria.